Arkansas is a state that harkens back to a more relaxed time of life in our country. If youíre tired of hearing 90 cell phones ringing, moving to Arkansas may be the answer. 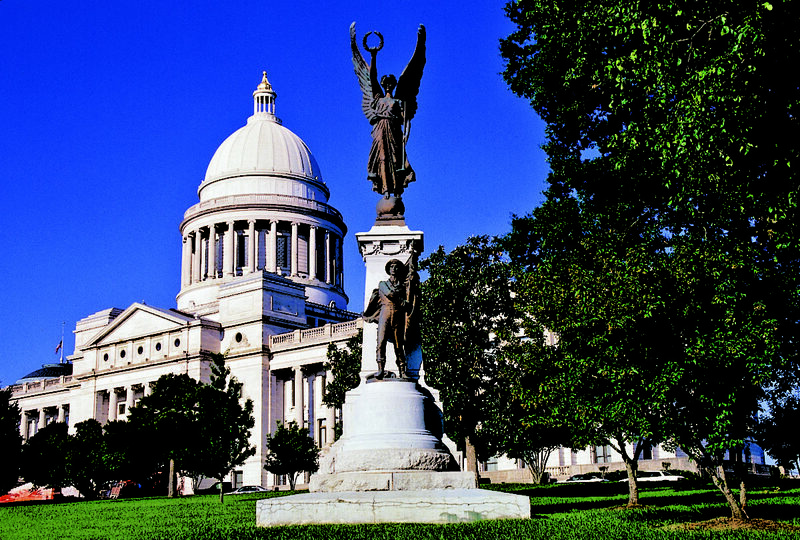 Unlike many states, Arkansas has made a concerted effort to protect and maintain its past. It is equally protective of its small, rural town heritage with even the biggest cities feeling like friendly, uncluttered towns. If playing in the great outdoors is your idea of a good time, Arkansas offers scenic mountains, rivers, forests in which you can play to your hearts desire. The undisputed population center of Arkansas, Little Rock is named afterÖa little rock. This unpretentious title reflects the nature and attitude of the city, to wit, laid back and relaxed is the central theme. For families, Little Rock is a very attractive city as there is a strong emphasis on kids throughout the city. From the riverfront park to museums tailored to the interest of the children, it all seems to be about kids. When it comes to weddings, Eureka Springs is the Las Vegas of Arkansas. A picturesque town in the northwest of the state, the town started as a health center and evolved into the must visit tourist destination of Arkansas. Surrounded by forests and natural mineral springs, the architectural style is decidedly Victorian. When people mention the Ozarks, this is the place they are talking about. A charming town that gets a 10 out of 10 rating as one of the best small towns to live in. Roughly a 45-minute car ride south of Little Rock, Hot Springs is a great destination for spa enthusiasts. Wedged into the Zig Zag mountains, the town is ripe with thermal mineral springs. This, of course, has led entrepreneurs to open spas of all sorts. The forest of the Hot Springs National Park engulfs the town. The architectural style is predominantly brick-oriented with many of the older spas have a healthy dose of marble thrown in. Arkansas real estate prices are as relaxed as the state. On average, a home in Little Rock will set you back $180,000, while youíll need to pay about $50,000 more for homes in Eureka Springs and Hot Springs. For 2005, Arkansas real estate appreciated at a rate of a little more than eight percent.